I received this book for free for the purposes of review. The book will be published June 5th, 2018. Go buy it folks! I read Side Jobs when it came out years and years ago and loved it. 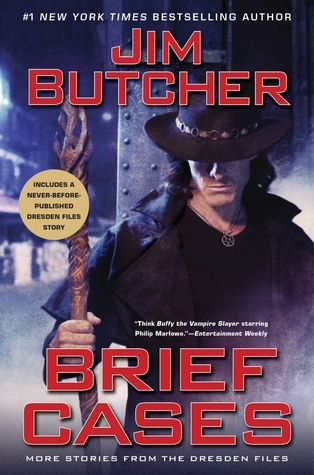 As a fan of the Dresden Files, I have to say that Butcher is just as talented at writing short fiction as he is writing long-form prose, if not more talent. While I must admit to not liking the present End-Of-The-World direction the Dresdenverse overall is heading, the smaller case-files these short stories represent REALLY do the detective-narrative style justice. Most of all I liked ‘A Fist Full of Warlocks,’ a short story set in the Wild West. Starring Anastasia Luccio (aka Dresden’s on-again-off-again cougar love interest) as a gun-slinging cowboy hunting down a rogue British warlock, it was a hollering good time. Quite frankly, the short was so good I would love it if Butcher wrote a book (or three) set in the Wild West. It’s concept of ‘The Wild West, with Kemmler’s Black Council against the Gunslingers of the White Council’ was truly compelling. Highly recommended you pick up this anthology if you’re even a small-to-medium fan of the series.